Nicole Colter is a serial entrepreneur who is passionate about teaching and learning. After being self-employed for over 13 years she is currently reinventing herself. She has been inspired by the conversations happening about the future of education. In 2009, The World Economic Forum’s Educating the Next Wave of Entrepreneurs report called upon the education systems of the world to infuse entrepreneurship education at all grade levels and in 2016 their Future of Jobs report identified Complex-Problem Solving, Critical Thinking, Judgment and Decision Making and Cognitive Flexibility as 4 of the top 10 skills needed by the year 2020. For the last three years she has been working in a high school running the freshmen class service learning program while writing the plan for her next move. She is hoping to run her first pilot Summer 2019. 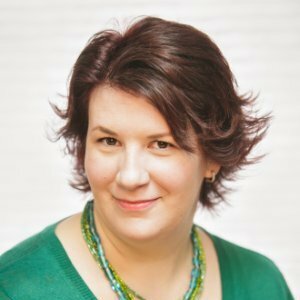 Nicole currently offers services to anyone looking to make significant changes through creative problem-solving facilitation, creativity training and/or dynamic change coaching. She helps clients clarify their vision or challenge and to work through the transformation and implementation stages so that effective change can become reality. To connect socially, click the green icons at the very bottom of the page or the navy-colored ones under the Let’s Be Social section to the right. I didn’t get a chance to have a meaningful conversation with you over the weekend and would welcome that opportunity when you have some time. I’m sad to say that I hadn’t been checking my web comments over the past months and I missed this. Thanks for hosting my visit to Workspace after AEROx. Missed you at AERO 2018.